The Nohsngithiang Falls (or Mawsmai Falls) is popularly known as the Seven Sisters Waterfalls because it has seven segments. 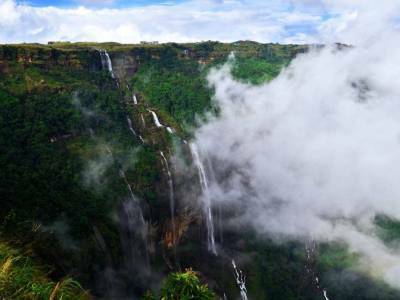 This majestic waterfall is the fourth highest waterfall in India, plunging down a height of 315 metres (1,033 ft) over the top of limestone cliffs of the East Khasi Hills in Cherrapunji. 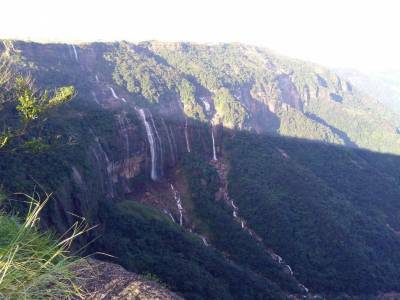 The Seven Sisters Falls is one of major tourist spot in Meghalaya and attracts lots of tourists. 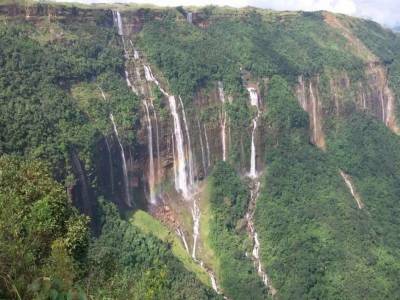 The Seven Sisters falls is the most famous falls of Cherrapunji and during its peak season the falls provide a very majestic view for the tourists. The falls are made up of many different falls and form a curtain of water falling down steeply from a cliff. The separate falls take separate routes and separate forms providing an array of intermingling water, giving it a beautiful face and the scenery of the sheer cliff is amazing. 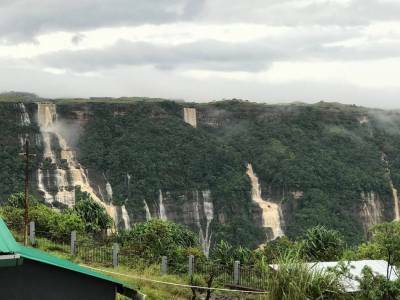 The Seven Sisters falls is a rain feed fall, Best time to visit during the monsoons season between June and September for a great view. There are a plenty of other tourist attractions near, Seven Sisters Waterfalls like Mawsmai caves and the Nohkalikai Falls. 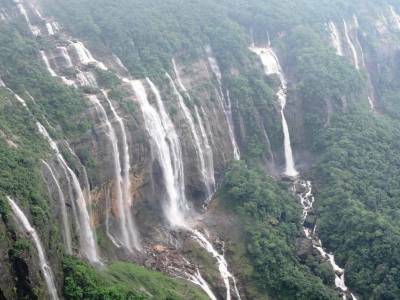 Get quick answers from travelers who visit to Seven Sisters Falls, Meghalaya.